Political scientist Pearl K. Dowe will join Emory University in fall 2019 through a unique joint appointment bridging Oxford and Emory colleges. Pearl K. Dowe, noted political scientist and scholar, will join Emory University in fall 2019 as Asa Griggs Candler Professor of Political Science and African American Studies with a joint appointment between the university’s Oxford College and Emory College of Arts and Sciences. Dowe currently chairs the department of political science and is an affiliated faculty member of the African and African American Studies Program at the University of Arkansas. Dowe’s unique joint appointment will bridge Oxford and Emory colleges. With a home base for teaching and scholarship at Oxford, Dowe will liaise to the Department of African American Studies at Emory College, where she will teach a course each year and help expand the curriculum. At Oxford, her courses will have a thematic focus on understanding leadership. “Throughout our search, the support and vision of Provost Dwight A. McBride have been essential, and the partnership with colleagues in Emory College made recruiting Dr. Dowe possible,” says Hicks. “Building a strong community of scholars who study race, inequality and resilience is one of our strategic priorities, and Pearl Dowe will help us to achieve that goal,” says Michael A. Elliott, dean of Emory College of Arts and Sciences. Dowe’s most recent research focuses on African American women’s political ambition and public leadership. Her published writing includes co-authorship of “Remaking the Democratic Party: Lyndon B. Johnson as Native-Son Presidential Candidate” (University of Michigan Press: 2016) and editorship of “African Americans in Georgia: A Reflection of Politics and Policy Reflection in the New South” (Mercer University Press, 2010). She has published numerous articles and book chapters that have appeared in the Journal of African American Studies, Political Psychology, Presidential Studies Quarterly, Journal of Black Studies and Social Science Quarterly. Dowe has presented widely at professional conferences and given frequent news-media interviews about American political topics. She currently serves as parliamentarian for the National Conference of Black Political Scientists, is a member of several committees for the American Political Science Association and previously served on the executive council of the Southern Political Science Association. She is a member of the editorial boards of the Journal of Economics, Race, and Policy and the Race, Gender & Class Journal. 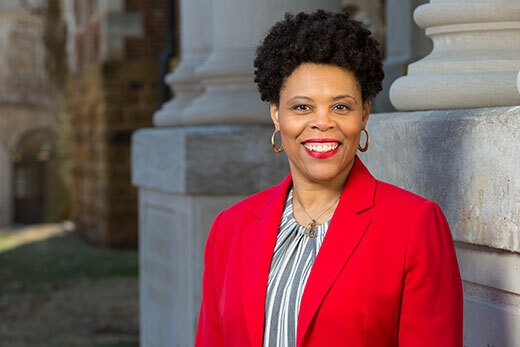 The University of Arkansas recognized Dowe for her commitments to diversity and students, awarding her the J. William Fulbright College of Arts and Sciences’ Nudie E. Williams Diversity Award, the NAACP Faculty of the Year Award, and the University of Arkansas Greek Life's Order of Omega Faculty of the Year Award. Raised in Georgia, Dowe is a graduate of Savannah State University and holds an MA in political science from Georgia Southern University and a PhD in political science from Howard University. She joined the faculty of the University of Arkansas in 2008. In 2016 she was visiting scholar in residence at Howard University’s Ronald Walters Center for Public Policy.